On April 3, 2019, ALPHIA LORENA WECKESSER. 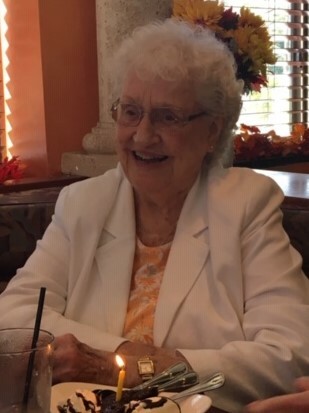 Devoted wife of the late Louis Weckesser, Jr.; loving mother of Linda Hooten (Buddy), Beth Varney (Mike), and Carol Messerly (Rob); adoring grandmother of Johanna North (Chris), Laura Messerly, and Ellen Messerly; and cherished great-grandmother of Grayson and Ava North. The family will receive friends on Sunday, from 1-3 pm at Harry H. Witzke’s Family Funeral Home, 4112 Old Columbia Pike, Ellicott City. A private family burial is planned. In lieu of flowers, memorial donations may be made to Meals on Wheels or the American Diabetes Association.